A short time-lapsed tour on the back of a cycle rickshaw. 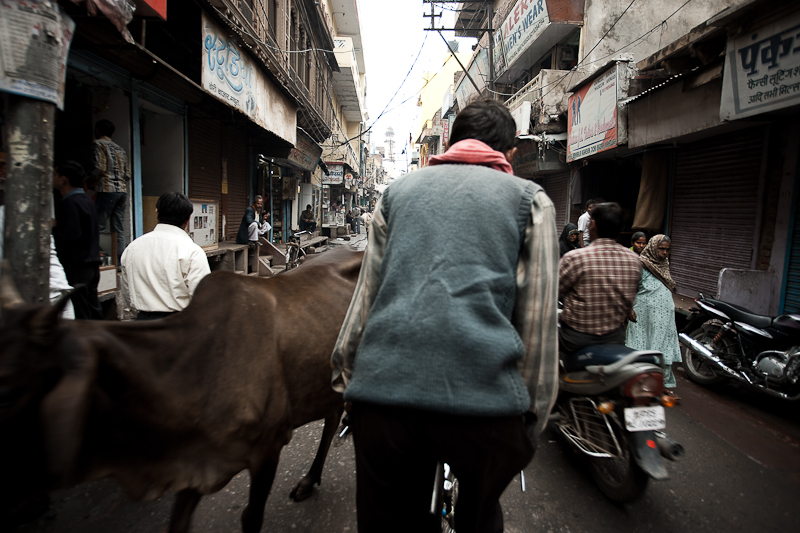 Everyone that comes to India takes a snapshot of the back of a rickshaw ride. I took it a bit further by making a small animation out of it. The amount of traffic photographed under-represents the actual perils, chaos and profanities of a real rickshaw ride in any Indian city. Mouse across the image for a user-controlled time-lapse (Flash Required).